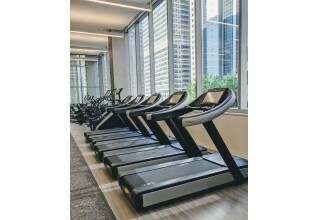 ​​LifeStart, the commercial real estate industry's largest provider of corporate fitness/wellness solutions announced today the Grand Opening of a new state-of-the-art fitness center located in the newest office tower in the loop – 151 N Franklin. Located on the northeast corner of Franklin and Randolph, 151 North Franklin is a 35-story building with 807,000 RSF and 25,000 RSF column-free floor plates. The building has 9’6″ finished ceilings with full height glass in office areas, 49-foot core-to-glass dimension, and 34 indoor executive parking stalls. The new fitness center, powered by LifeStart, will provide the tenants of 151 N Franklin with the best fitness and wellness programming designed to support a healthy, active lifestyle while they are at work. Members will have access to a large menu of services including personal training, dietitian consultations, and laundry service. 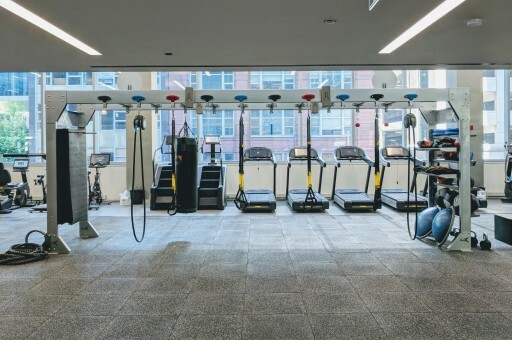 With a large focus on technology, the 5,600 square foot facility features a full-line of TechnoGym Cardio with HD-TV and video media apps, Peloton bikes, Keiser M3i spin bikes, and MyZone heart rate sensors. An Aktiv bridge unit is the center piece of the facility specially designed for HIIT workouts and functional training. The bridge is fully loaded with monkey bars, TRX straps, bouldering grips, punching bags, and other accessories. 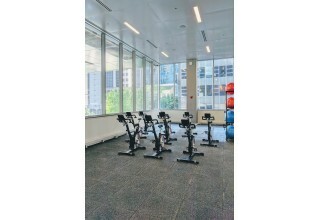 The group exercise room will feature LifeStart’s top instructors with specialties in yoga, spin, pilates and more. 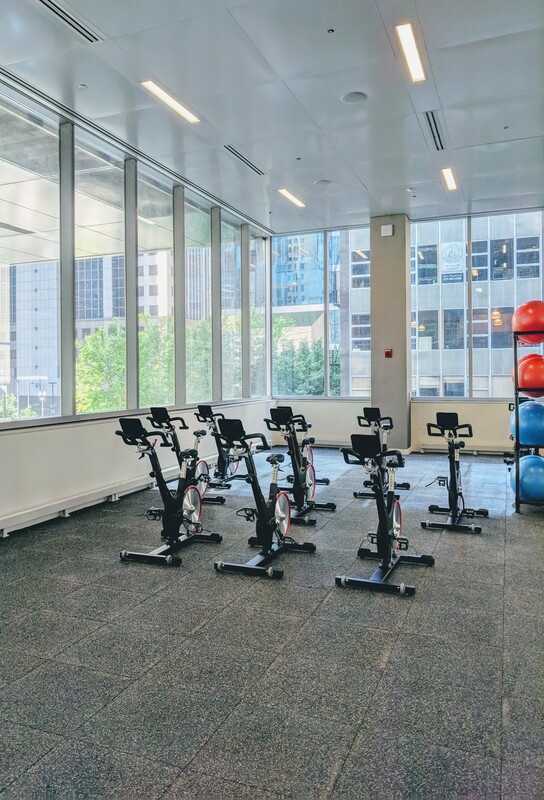 The LifeStart Wellness Network is a national corporate fitness center development and management company that operates the largest portfolio of onsite centers in Multi-Tenant Buildings across the country. With the addition of this new site to their portfolio, LifeStart continues its growth expanding its managed sites to 76 locations in 13 states. 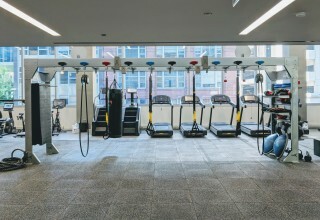 LifeStart's success has been attributed to its industry leading engagement levels and ability to fully integrate with the tenants of the building due to its specialized knowledge, creative programming and unique staffing plans designed specifically for this market. 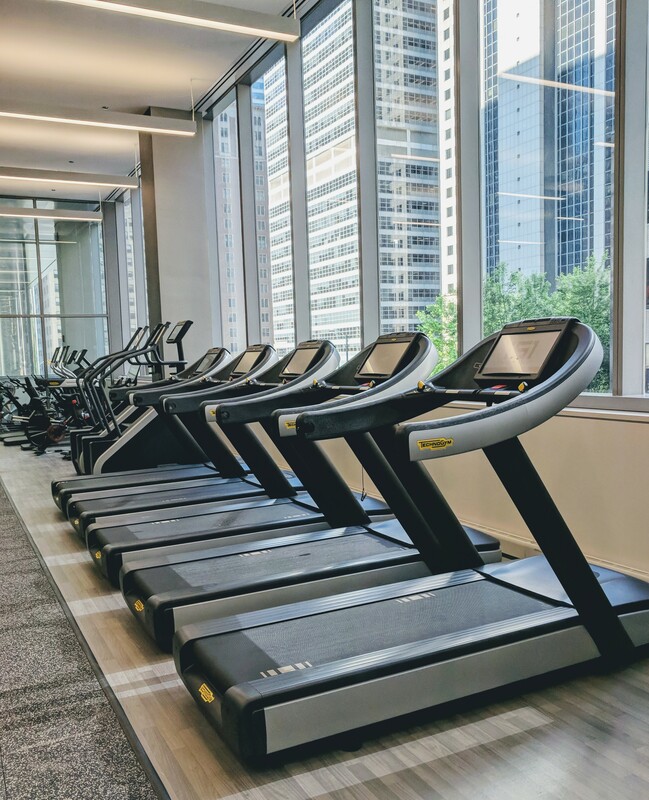 With over 27 years of experience, LifeStart has a proven record of developing and operating onsite fitness centers, securing the highest utilization in the industry and creating fun and engaging environments that motivate employees while enhancing a building’s onsite amenity. To learn more about LifeStart visit www.lifestart.net. Founded in 1981, The John Buck Company has established a track record and reputation as a premier, vertically-integrated real estate operating company focused on major U.S. urban markets. Since inception, JBC has made principal investments in assets comprising more than $6.7 billion of gross value, and acquired, developed, or redeveloped over 42 million square feet of office, residential and mixed-use properties. The John Buck Company has evolved from the developer that transformed Chicago’s Wacker Drive and Michigan Avenue to become a national development, investment, and asset management firm that produces superior returns for our fund investors and capital partners. In turn, we have utilized our operating platform to provide world-class property management, development, and construction services for our clients. Additional information can be found at https://www.tjbc.com/.